WELCOME TO INDIANA DANCE COMPANY! 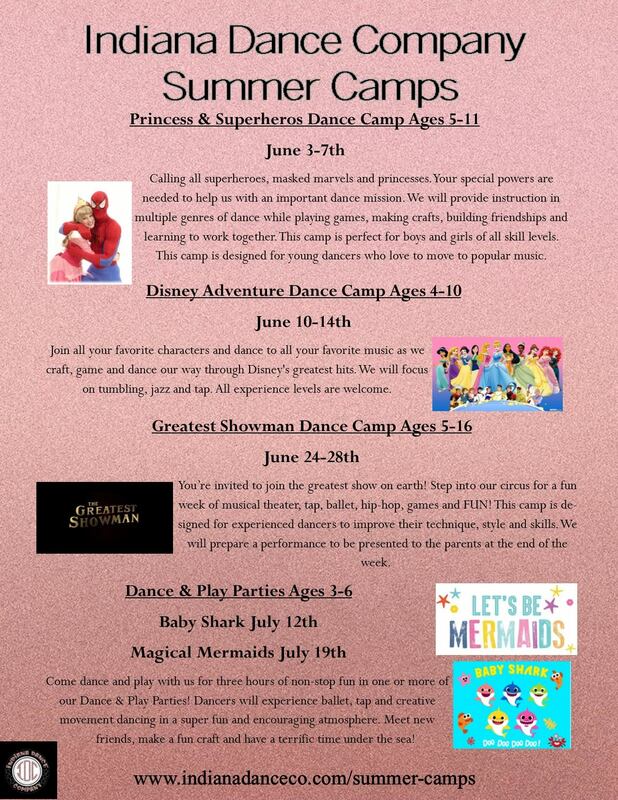 JOIN US FOR SUMMER DANCE CAMP! Our preschool dance program is perfect for the little one in your family looking to try dance. Dancers will learn the basics in a fun and engaging way that enhances their rhythm, coordination and flexibility. We are proud to offer recreational classes in clogging, tap, ballet, jazz, hip-hop, acro and fitness. We dance for fun and get great exercise! We offer competitive dance for all levels ages 5 and up in various styles. All company dancers will have opportunities to compete regionally and perform locally.